Our clients, Roger and Jamie wanted an update to the exterior of their house. This meant a brand new garage door! This started out as a straightforward project. Order brand new Clopay Garage Door. Roger and Jamie chose the Gallery model. The gallery model comes with a 2″ steel back insulation, for extra durability and comfort! After the door arrived, we installed it right away! Things got complicated when Roger wanted to install a car lift. This meant that we needed to get the door to open as high as possible, which is called a “high lift installation”. 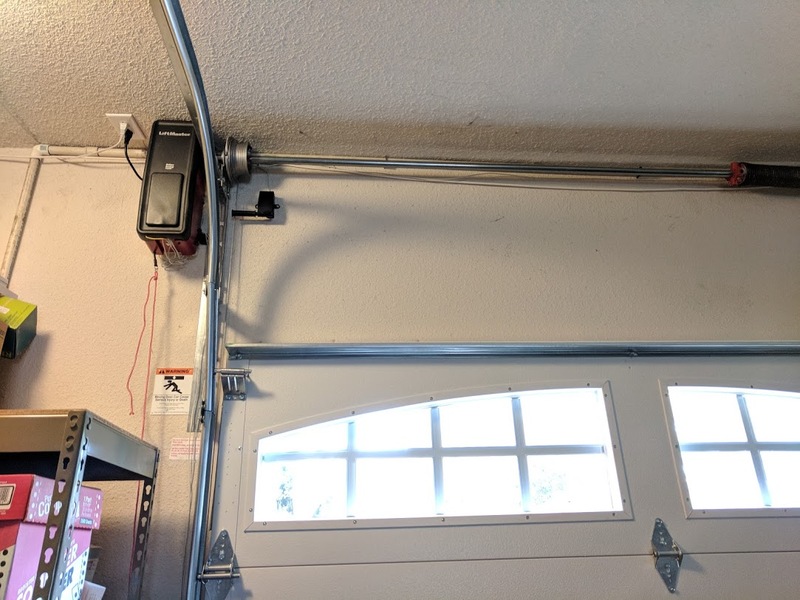 This is not a problem, but it can be difficult to get an overhead style garage door opener to fit since the car lift doesn’t leave much room for clearance for an opener. The solution here is to install a jackshaft opener. We generally prefer and install LiftMaster jack shaft garage door openers. It’s a great product and long lasting. You can see how the jackshaft opener is installed on the wall of the garage, instead of the roof in the image below. This way, you save on overhead space. You can see as well that we installed a type of track that has an early break away from the frame of the garage. 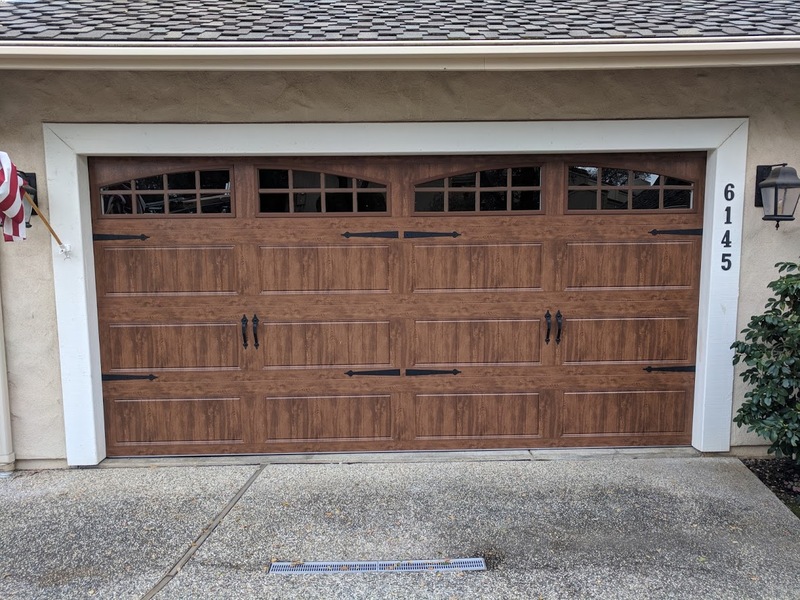 This allowed us enough clearance for the beautiful iron hardware we installed on the front of the new Clopay garage door. This is what it looks like on the inside: you can see the new double springs we also installed, as well as the tracks and insulation. Notice the roof of the garage has NOTHING. Generally, you have the opener up at the top connected to the door, but it’s all cleared out thanks to the jack shaft opener we installed. 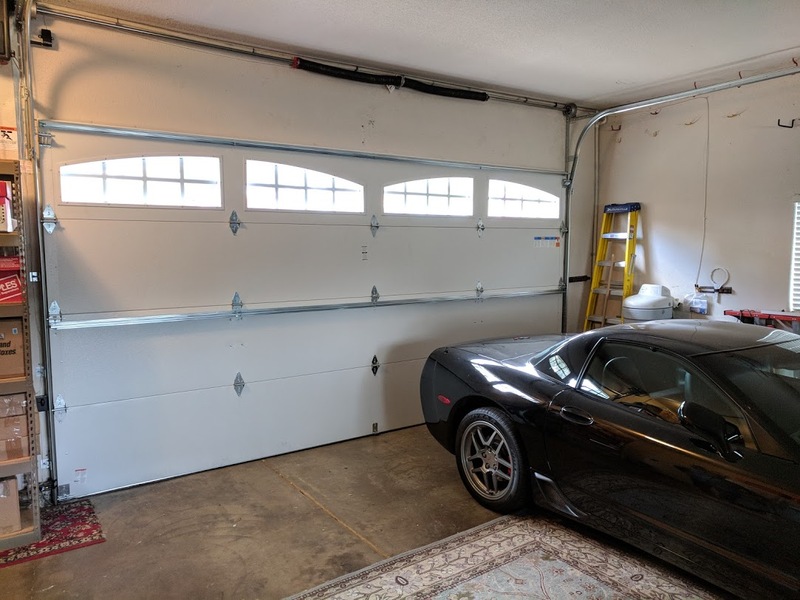 By installing the jack shaft, you save at least a foot of overhead space in a garage, which is all we needed to make room for Roger’s car lift.